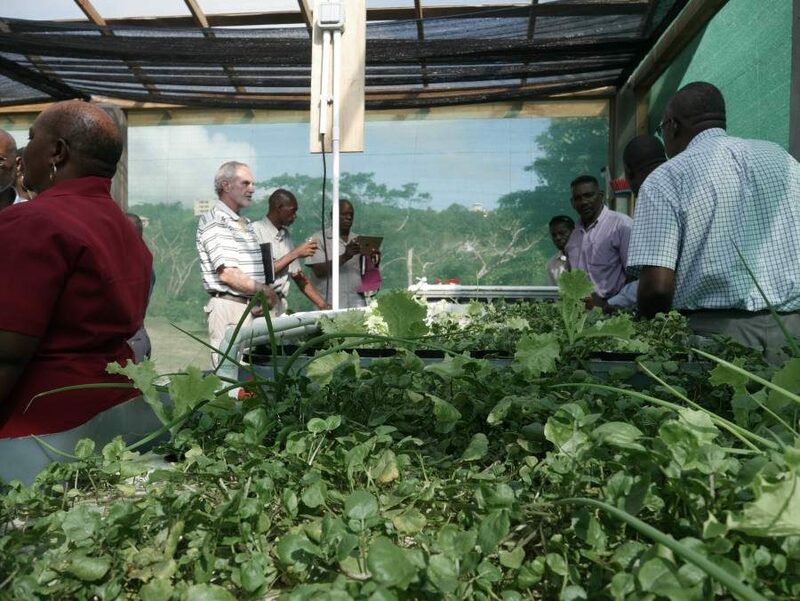 The commissioning of a state of the art aquaponics system at the Woburn Methodist School has the potential to cultivate 100 heads of fresh vegetables, at little to no cost to the school. School administrators have hailed this new initiative spearheaded by the Olive Branch Project Inc since it will assist the school’s feeding programme. 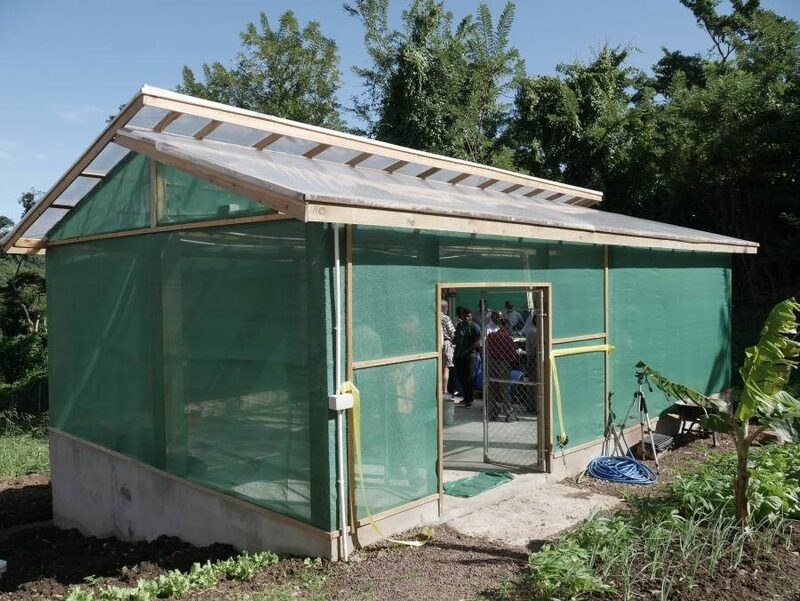 With the completion of its first system, the Olive Branch Project Inc (OBP) will continue to establish other aquaponics systems in the primary and secondary schools of Grenada with the aim of generating interest among students to embrace agriculture as a viable business and ultimately reduce the country import bill. Aquaponics allows for fish, bacteria, and plants to work in unison to sustain one another without the need for harmful pesticides, soil, and synthetic fertilisers. Water from the fish tank is conserved since it cycles throughout the system. The University of the West Indies St Augustine Campus played a major role in the installation, with engineer Rakesh Bhukalby providing technical assistance. Founder of OBP, martial arts and taekwondo expert Master Melvaughn Coutain, says his vision is to further expand this type of agriculture into the into the school curriculum. It is part of an initiative by the OBP to assist organisations in the Caribbean region to cope with the growing dilemma of environmental problems and also to increase food security. On Thursday, 11 January the projects were officially launched, with a ribbon-cutting ceremony at the school, attended by officials from the ministries of Agriculture and Education. School Principal Richard Japal says the new system ties into the school’s inclusive education policy by incorporating skills and academia. The project has been endorsed by District Education Officer Meryl Lord. on behalf of the Ministry of Education. The OBP has plans to install aquaponics systems in schools such as St Joseph Convent St George’s, Grenada Boys Secondary School, and Westerhall Secondary School. As part of the initiative, the introduction of Taekwondo to instil discipline in students will also infuse into the curriculum. Funding for the project under the Climate Change Mitigation was provided by the GEF Small Grants Programme of US$39,090 together with co-financing cash of US$25,869 and co-financing in-kind of US$1,778. Grenada’s top imports are Poultry Meat ($9.4M), Industrial Fatty Acids, Oils and Alcohols ($7.18M), Cars ($7.16M), Wheat ($4.68M) and Packaged Medicaments ($3.16M).